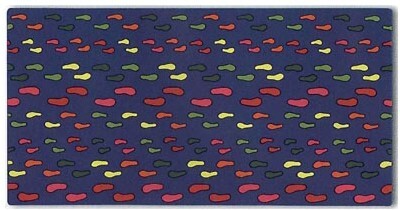 This carpet is designed with different sized footprints in bright primary colors. Great for corridors, stairways and kid's bedroom! This beautiful children's rug was created with a variety of colors to match any room decor. 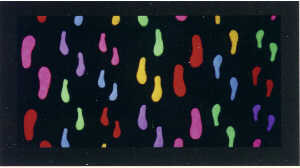 Footprints - NEON (below) is fluorescent and featured in our Black Light Carpet section. The footprints glow in the dark under a black light! Very Cool!